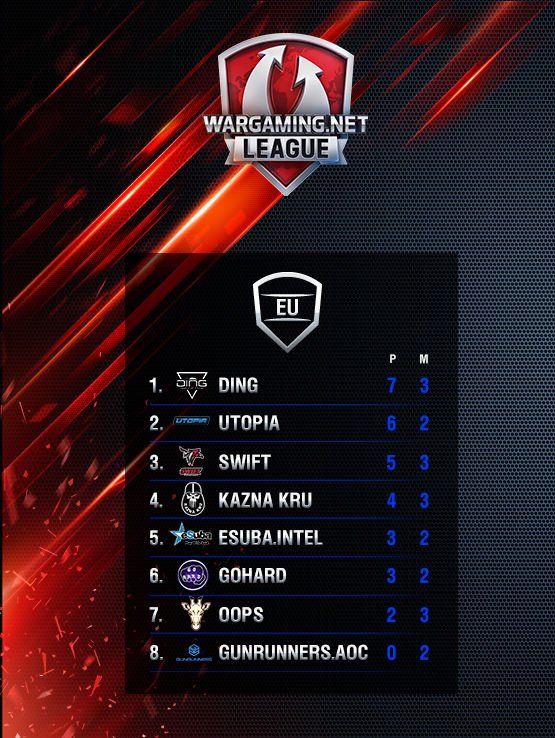 The League is live this Thursday at 19:00 CET with Gunrunners versus eSuba, followed by Utopia versus GoHard at 20:30 CET. Did you miss this week's broadcast? Not to worry – We have all the best actions compiled for you in our weekly video highlights. And remember, the WGL portal is also up and running, so if you want more information, or if you are interested in what's happening in the other regions too, go check it out! 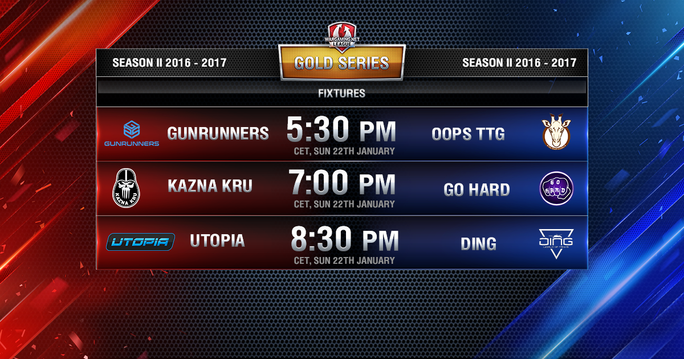 The opening match of the season was a baptism of fire for newcomers Gunrunners as Kazna Kru took an early 3-0 lead. With Gunrunners on the attack on Himmelsdorf, a fight at base 1 allowed them to get 2 tanks and then rotate to base 2. In the resulting fight Gunrunners then also put tanks on base 1, splitting Kazna Kru's attention to pick up their first round in the Gold Series. Sadly for Gunrunners, Kazna Kru's experience shone through the rest of the match and they earned the first 3 points of the season. Utopia have undergone some big changes this season and the question many people were asking is how the team would get together. “Pretty good” would be the answer as Utopia swept aside Swift 5-0. Swift were able to put up a decent fight on Steppes, but as we moved onto Prokhorovka, Utopia took the first round with over 8000 hp still available. In round 2, Swift played right into Utopia's double Grille setup and struggled to make an impact on the battle. With Utopia on match point we went to Cliff, where the teams traded damage across the board and were tied for position and damage. It was time for someone to step up for their team and PapaPawian, in his T49, was that player. He destroyed a Batchat and an Object 430 II, then scored a huge hit on another Batchat. This allowed Utopia to then mop up the remaining Swift tanks and take home all 3 points. 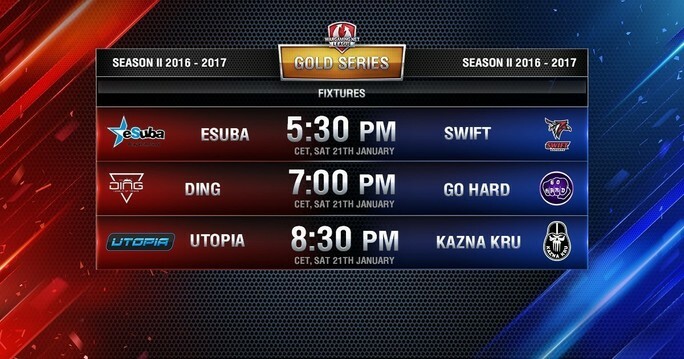 Newcomers Esuba picked up a dream start to Season 2 as they defeated Go Hard 5:3 in their first match of the season. Trading one round each on Mines, the teams then did the same on Himmelsdorf where multiple mistakes could have easily allowed either team to take both rounds. Cliff followed next, where the teams traded rounds again and remained all square as they headed to Steppes. It was here that eSuba finally wrestled control of the match winning both rounds, first on the attack then on the defence. Go Hard looked a little uncoordinated but this is only their first match and the season is still young. This match had a lot of potential and boy did it deliver. Starting out on Himmelsdorf the teams traded defensive wins before moving on to Mines. It was here that Ding took both matches and an early lead picking up both rounds. Cliff was the third map and after a dominating win from Oops on the attack, Ding then won their attacking round and were on match point 4 to 2. Murovanka was map 4 and Insane stepped up for his team on round 1 with a 4k+ damage game. It was a close round with Oops winning with only 1.2 health left on 3 tanks. In round 2 a quick fight in the forest resulted in Oops having a 1 tank advantage, which they used to finish off the last two Ding tanks and set up a tiebreaker. It was then on Himmelsdorf that Ding's EU undefeated run came to an end. Oops on the attack forced Ding into a fight on the 1-2 line where they were always in control. Finishing the round with over 8k health and 5 tanks still alive it was a well fought win for Oops.